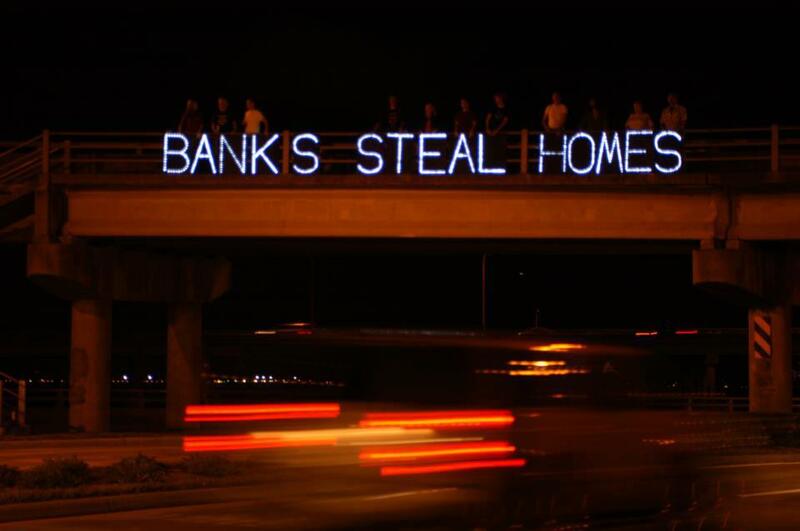 The Overpass Light Brigade was forged in the activist climate of the Wisconsin Uprising. Our messages shine over highways at night. We believe in the power of communities coming together in physical space, as well as the importance of visibility for grassroots and progressive causes. We are a loose and inclusive affiliation of people dedicated to the power of peaceful and playful protest. Contact us on our Facebook page if you would like to join one of our Bridge Parties, and feel free to share our images, follow us Twitter, and give a few “democrabeeps” when you drive beneath the bridges.